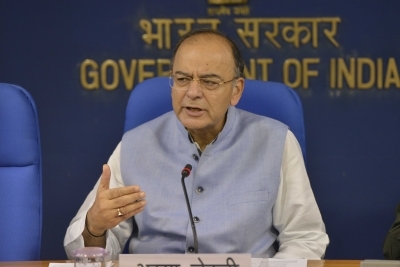 New Delhi Sep 15 (IANS) Finance Minister Arun Jaitley on Saturday described the Swachh Bharat Abhiyan (SBM) as "the most successful" scheme of the Modi government which has become a "people s movement". The Minister said SBM has witnessed a "phenomenal increase" in rural sanitation from 39 per cent to 92 per cent in the last four years. Pointing out that initially people in the rural areas were reluctant to accept the scheme and thus required a "behavioural change" the Finance Minister said the Swachh Bharat Abhiyan mission movement has transformed into women movement with women playing a leading role. "We all knew that the dignity of women demanded the privacy of toilet " Jaitley said in his blog and that in several parts of India toilets have been named "Izzat Ghar". However Jaitley said "women of India are now stepping beyond their roles as mere beneficiaries of this programme to leaders of it today". Noting the construction of toilets has always been a male bastion the Finance Minister in his blog said in many states thousands of rural women have been trained as masons and with the assistance of self-help groups they are becoming a primary force in driving the state in becoming free from open defecation. Referring to the target of making India free from open defecation by 2019 -- the 150th year of Mahatma Gandhi s birth anniversary -- the Finance Minister in his blog pointed to the preventive health care benefits of the scheme. "Global experts believe the SBM will have saved over three lakh lives in the country by the time we become open-defecation-free in 2019 " says the blog.